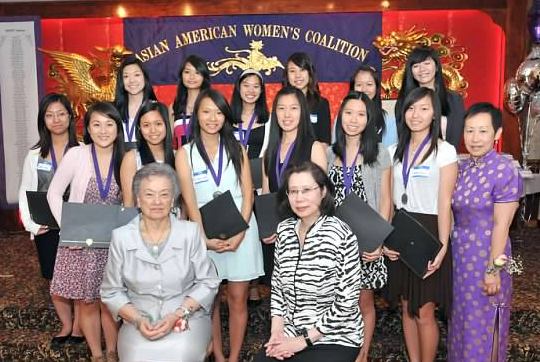 ​The Cecilia Moy Yep Scholarship Fund was established in 1994 by the Asian American Women’s Coalition to recognize female Asian American high school students who have made a positive and lasting impact on our local community through their service and leadership. The scholarship will help finance post-high school education. Multiple scholarships are awarded each year in varying amounts. Asian American Female high school senior graduating in May/June 2019. Live in Philadelphia, Delaware, Montgomery, Chester, or Bucks counties. Participate in community service and extracurricular activities. Minimum of 3.0 cumulative grade point average on a 4.0 scale. Start college/university in Summer 2019 or Fall 2019. If selected to receive a scholarship, you MUST attend the AAWC Scholarship banquet on Friday, April 26, 2019 to receive your award. Mail or email the following documents to AAWC postmarked by March 11, 2019, 11:59 P.M. Eastern Standard Time. Completed application along with your personal statement. One recommendation from a teacher or community leader. A second recommendation is optional. CSS PROFILE or FAFSA (Free Application for Federal Student Aid) Student Aid Report.